The Golden State Warriors are currently one of the best teams in the NBA, and are the pride of the otherwise dreary San Francisco Bay Area sports scene. That’s just fantastic for the denizens of the nine counties by ‘the Bay’, and I applaud them on their success. It should be noted however, that the Warriors franchise was STOLEN from Philadelphia in 1962. When people talk about the ‘theft’ of professional sport teams, people regurgitate the same tired examples; the Baltimore Colts, the Brooklyn Dodgers, and if you’re British, Wimbledon F.C, but never the Philadelphia Warriors. Let’s change that. The Philadelphia Warriors were founded in 1946 as a franchise in the upstart Basketball Association of America (BAA). 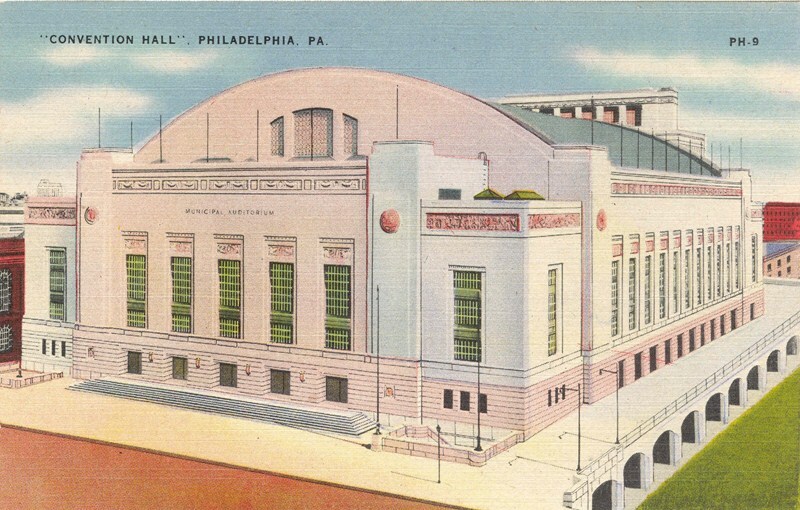 They played their games at the Philadelphia Arena (1946-1952) and at the Philadelphia Civic Center (1952-1962), with the occasional game at Hershey Arena. In the beginning, the Warriors were owned, operated, and coached by the legendary basketball promoter and future NBA commissioner/scheduling king, Eddie Gottlieb. Prior to owning the Warriors, Gottlieb was owner/player/coach of the barnstorming SPHAs basketball team, widely considered one of the best teams of their era. In the Warriors (and the league’s) inaugural season, the team would would post a 35-25 record (field goal percentages are particularly cringe-inducing from this era). Led by the league’s premier scorer, Hall of Famer “Jumpin” Joe Fulks, the Warriors would defeat the Chicago Stags four games to one to win the first BBA championship (the BAA eventually became the NBA in 1949, and this is often considered the first NBA championship). The following season, the Warriors would lose in the BAA finals to the Baltimore Bullets, four games to two. The Warriors snuck into the playoffs the next few years, but eventually missed the playoffs in three consecutive seasons. In 1955, an outraged Gottlieb had seen enough, and fired himself. He turned the Warriors over to former team point guard, George Senesky. In Senesky’s first season, the Warriors vastly improved. Led by a trio of Hall of Famers ”Pitchin’” Paul Arizin, Tom “Mr. 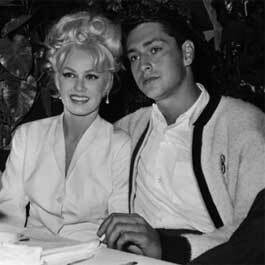 All-Around” Gola, and Neil “Gabby” Johnston, the Warriors posted the best record in the NBA, and earned a trip to the 1956 NBA playoffs. 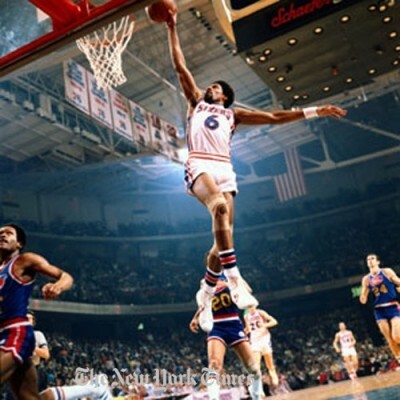 Their first test was a semi-finals matchup against the reigning NBA champs, the Syracuse Nationals (the future 76ers), led by Hall of Famer Dolph Schayes. The Warriors won the hard-fought series three game to two, and advanced to the finals. 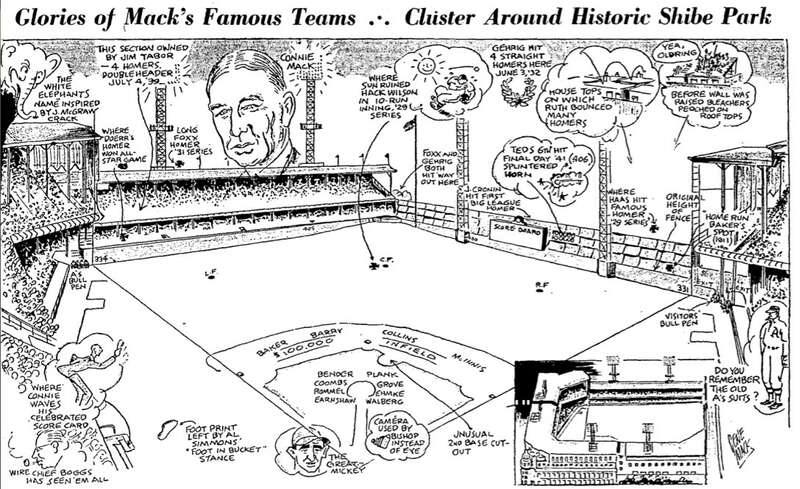 In the finals, the Warriors took on a Fort Wayne (Now Detroit) Pistons team that had their own Hall of Fame trio (George “Bird” Yardley, Bobby Houbregs, and Andy Phillip). The Warriors won the best-of-seven series in five games (4-1), led by the transcendent scoring abilities of Paul Arizin. It was an extremely close fought series, with the average margin of victory of just four points (inflated by Warriors 11-point game five victory). This was to be the last triumph tasted by the Warriors in Philadelphia. The offseason following the Warriors championship run would change the course of the NBA forever. In 1956, a certain vile team that wears green (The Boston Celtics), led by a certain cigar chomping coach/general manager (Arnold “Red” Auerbach), acquired a certain talented center through suspicious methods (Bill Russell), sparking a dynasty that won 11 of the next 13 NBA championships. The Warriors were stuck behind that dominant Boston squad with little hope of passing them. After three long seasons trapped in the looming shadow of the Celtics, a huge ray of sunlight peeked through the darkness in 1959. That light was Wilton Norman “Wilt” Chamberlain, the 7-foot 1-inch behemoth from Overbrook High School, by way of the University of Kansas. In the early days of the NBA, there was an interesting mechanism used to engage local fans. Teams were allowed to stake a Territorial Pick claim to a player from a 50-mile radius of their home arena in exchange for the team’s first round pick. The thought process behind this was that fans would be more likely to foster a connection with one of their own than they would with some out-of-towner. With Chamberlain being far-and-away the best player in the draft, it was a no-brainer for the Warriors to stake a territorial claim. Chamberlain quickly became the best player in the NBA. 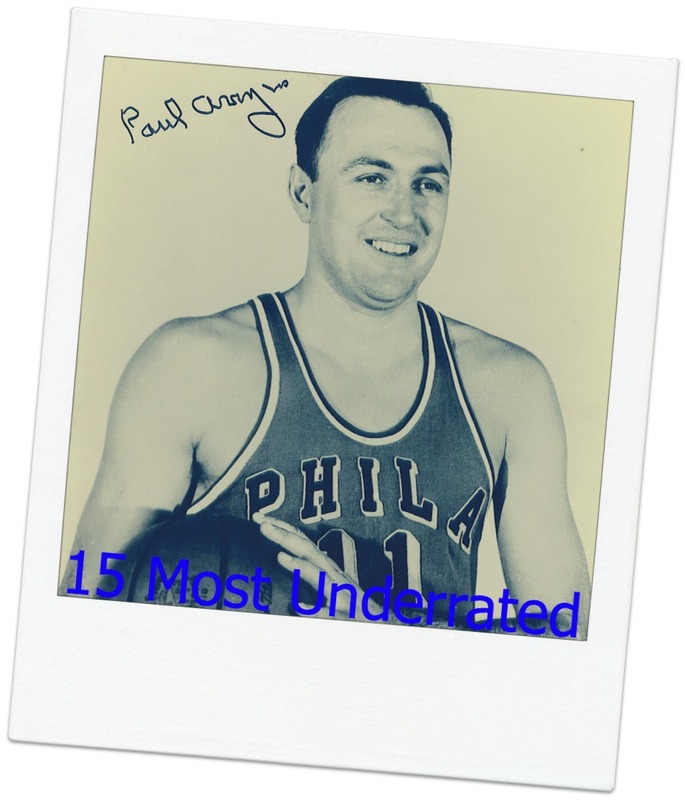 Through his first three seasons, Chamberlain dominated the league, but his extremely talented supporting cast could not come close to the talent amassed by the Celtics (8 Hall–of–Famers on roster in 1960-61). Unfortunately for Philadelphians, there was an even bigger shadow than the Celtics looming over their team’s fortunes, Eddie Gottlieb’s ambitions. 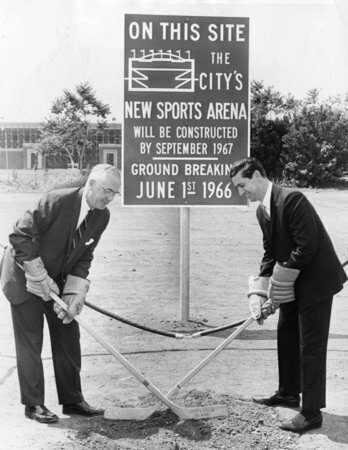 In 1962, Eddie Gottlieb sold the Warriors to a group of California based investors led by Franklin Mieuli, who promptly moved them across the country to San Francisco’s Cow Palace. The motive for the sale (other than money) is not entirely clear. There is the notion that Gottlieb, as NBA commissioner, wanted to expand the league westward, but this is unproven. The move upset several players, most notably Paul Arizin, who quit the team to play for the semi-professional Camden Bullets of the Eastern Professional Basketball League. (They won the Championship in Arizin’s only season.) Fortunately for fans of pro basketball in Philadelphia, the city was without a team for just one season. 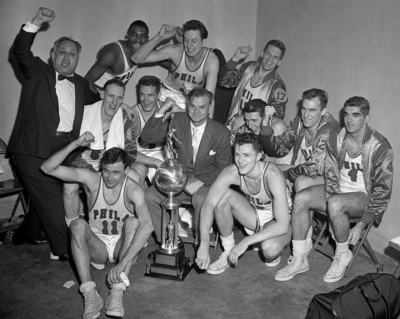 In 1963, the Syracuse Nationals moved to Philadelphia and became the Philadelphia 76ers. Both the Warriors and the Sixers have won two NBA titles since their respective moves. However, when you juxtapose the Warriors’ recent success with the woes of the ‘process’ era Sixers, it is inevitable that some fans will yearn for the Warriors to return to their roots. The Philadelphia Firebirds were a minor league ice hockey team that began play in Philly in 1974. 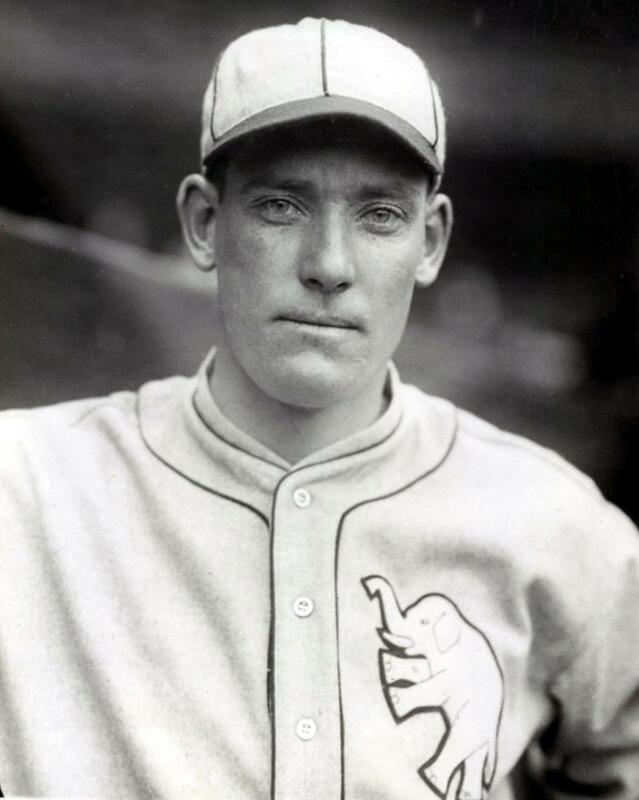 One of their first owners was former Phillie great Robin Roberts, though he left after they lost a ton of money in their first season. They began play in the North American Hockey League, where they played from 1974-1977. Among the players on that inaugural team was goalie Reggie Lemelin, who would play for the team for five years before later enjoying some success with the Calgary Flames and would be the Flyers goaltending coach for 13 years. The team had some great nicknames. The best was Gordie “Road Hog” Brooks, but they also had Dave “Crash” Kelly, Fred “Fats” Williams, Bob “Waldo” Neely, and enforcer Mike “Barretta” Haworth. The league folded in 1977, and the team moved to the American Hockey League. 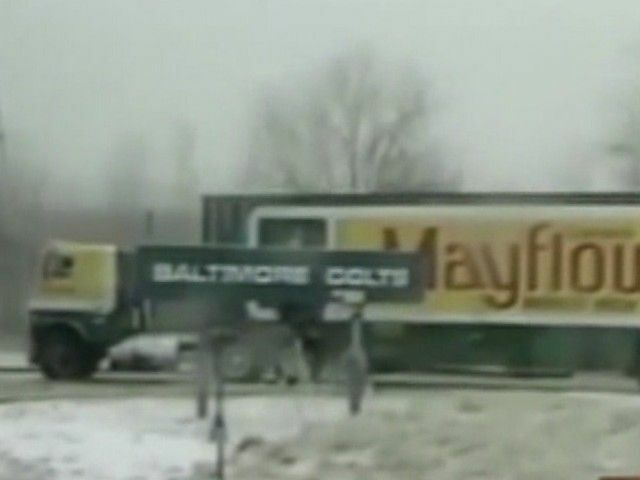 They played there for two years (in one of those seasons, they featured a right wing named Steve Coates; they also had a young left wing named Mike Eruzione who played with them for 6 games before becoming a national hero), then moved to Syracuse in 1979, where they played for one year as the Syracuse Firebirds. They folded a year later. 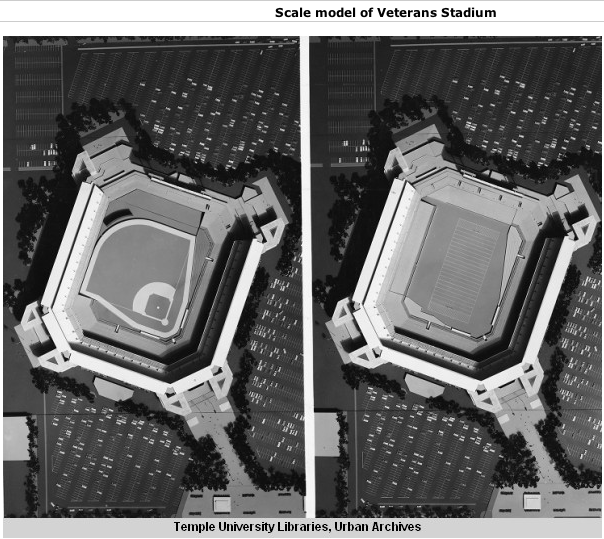 For their 5-year run in Philly, they played at Convention Hall on the edge of Penn’s campus near Franklin Field. Yesterday we posted your memories of Game 4 of the 1993 World Series. Today we’ll post your memories of Game 6. I was a senior in high school at a party at my buddy Ryan’s house. 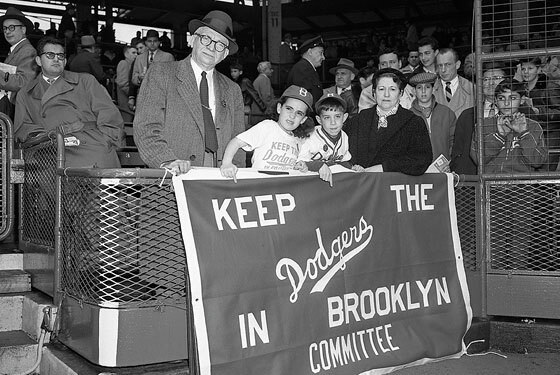 I remember me and a couple of guys went up to the his parents bedroom to watch the last few innings, since they were watching something else on the main TV. So we gathered around a fuzzy 13 inch tv to watch the last few innings. I lived in Virginia, but we were all rooting for the Phils. One of the greatest team of underdogs ever, and furthermore they were repping the USA. We sat in stone silence when that ball went over. Can only imagine how heartbreaking it was here. Isaac: Mitch vs Joe Carter was my 16th birthday present. Dan: I watched at a Ground Round in Wilmington, DE with same college friend and some others. That night I’m pretty sure I taught the patrons some new words. Maybe I phoned a death threat to Mitch Williams that night, maybe I just dreamed it. But I definitely swore that I wouldn’t watch a meaningful Phillies game with that friend ever again. Bill: I standing next to Mayor Rendell when Carter ended both the series and the ’93 Beaux Arts Ball. There had to be a 60 foot screen at the Convention Center (Where I was working). That ball goes out, and the party ends, hours earlier than expected. Duff: I remember rushing from rehearsal and walking into the raucous TGI Friday’s on the parkway just in time to see the last pitch. Deafening silence followed. First time ever in a Friday’s. Have not been back since. Andrew: I taped Game 6 of the Series on my VCR. Ever after, no matter where I rewound or fast-forwarded to, the VHS tape *always* seemed to begin with the final pitch of the Series leaving Mitch Williams’ hand and Joe Carter waiting for it — my one brush with the paranormal. Pat: I was at a kids baptism celebration, in a family friend’s basement, watching it at the bar they had down there. Before the ball even went over, I put my head down on the bar. I looked up again to make sure it was true, and then I put my head down again, and cried. I was 11. 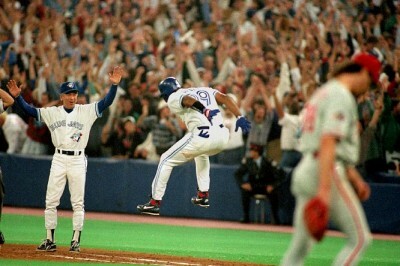 Carl: The moment after Joe Carter’s home run was the first time I ever blatantly cursed in front of my parents. My emotional 5th-grade self took the Nerf Turbo football I’d been clutching like a stress ball throughout the game, hurled it at Carter’s face, and yelled “F**K!” as loud as I could before bursting into tears. Sean: Carter’s home run was like the punchline of a cosmic joke — it was the first time I understood that some things are too good to be true. Tough lessons in October 1993. I still don’t like thinking about it. Carl: Oh, and I wasn’t in trouble. At all. Mike: I didn’t have any friends at that point in time, so I just spent the whole summer of ’93 season at my aunt’s place. She would always watch the games with me, which meant everything to me. Losing Game 6 brought me back to the reality that I didn’t have friends or anything to fall back on. Devastating. Michael O: I was in the 4th grade. Almost 10. At the conclusion of game 6, I locked myself in the bathroom and cried for a half an hour. Andrew: Whatever you think of Lenny Dykstra now, I remember thinking when he hit that home run in Game 6 that he was singlehandedly putting the Phils into a Game 7. Art: I was watching from a packed Chasers Pub just off South Street on 4th. I remember begging Mitch to just throw a strike. I leapt in excitement when Carter swung and by the time I landed I realized that the ball was gone. It never dawned on me that Carter would hit a homerun. The only battle I was focusing on was Mitch vs. the strike zone. I was in disbelief. Some stranger later bought be a shot because he thought I needed one. 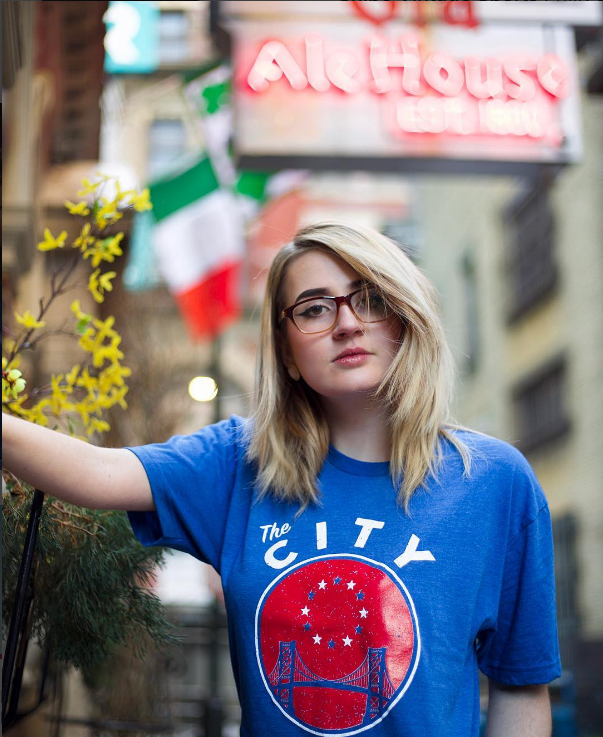 And finally a note from a recovering Blue Jays fan, Dirty Gert: I grew up outside of schenectady and had no local team to root for. So when the Blue Jays made it to the World Series, there was no question who I was rooting for. Watching Mitch Williams implode and big Joe Carter become an elder hero was beautiful. Then when I moved to Philly in 1998 things slowly changed. The lowly underdogs I saw 20x a year in the empty Vet became an obsession. Every man I talked to became emotional when discussing 1993. I started to get angry myself. Why couldn’t Mitch have thrown one more ball out of the strike zone? Why couldn’t this passionate town get just one more title? Revisionist history took hold and I invented memories of loving the scrappy, boozy geezers of 93. I can’t imagine the same thing happening if I moved to another city, like Tampa or Chicago. The Phils are my team now, as they are to anyone who has ever called Philadelphia a home.